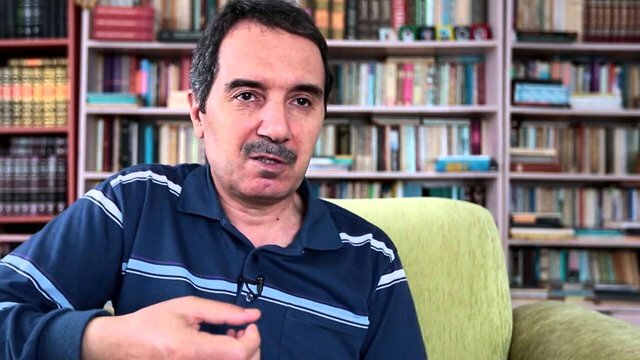 A high criminal court in the western Turkish province of Uşak has ruled for the continuation of the arrest of former Zaman daily columnist Ali Ünal, who was jailed in the aftermath of a failed coup attempt in Turkey on July 15, 2016. Ünal’s trial resumed at the Uşak 2nd High Criminal Court on Thursday, when the journalist delivered his defense statement. It was the third hearing in the trial in which Ünal faces charges of attempting to perpetrate a coup and being a leader of a terrorist organization. Ünal is among the dozens of journalists who were arrested in the aftermath of the coup attempt because the media outlets they used to work for had links to the Gülen movement, which is accused by the government of masterminding the failed coup. The movement strongly denies any involvement in the putsch. In his defense, the writer denied all the accusations directed at him and said the Turkish government was the biggest supporter of the Gülen movement, which it now defines as a terror organization, until Dec.17, 2013, when a corruption probe implicating several government members became public knowledge. He said even then-Prime Minister Recep Tayyip Erdoğan was inviting US-based cleric Fethullah Gülen, whose views inspired the Gülen movement, to Turkey and the government-controlled media were supporting it. “Considering this enormous support of the government [for the Gülen movement], the claim that I attempted a coup by writing a newspaper column every week is unacceptable,” said Ünal. He said it is claimed in the indictment that he wrote articles critical of Erdoğan, but said it was nothing new since he had criticized him since he came to power in 2002. Ünal explained that if the Gülen movement is a 50-year-old terror organization as claimed by the government and that it attempted to stage a coup, then the politicians who supported the organization should stand trial. Following the revelation of the corruption scandal in December 2013, the government, which accused Gülen-linked police officers and members of the judiciary of masterminding the corruption investigation, launched a war against the Gülen movement. Until then, the government was on good terms with the movement and praising its activities in the fields of education, charity and inter-faith dialogue all around the world. Ünal also demanded evidence to prove the claims that he had received orders from the Gülen movement. “I am charged with abstract accusations. There is no evidence requiring me to continue to be jailed. I did not lead any terror organization,” said Ünal as he asked for his acquittal. The court ruled for the continuation of the arrest of Ünal and set the date for the next hearing at July 18. This article originally appeared in Turkish Minute on May 10.